There is a reason we have featured so much Swedish goodness here on Babyology, and that is simply that there is so much goodness to be featured. So if great design and awesome kidswear are your thing, then you are in for a treat. Let’s start with the fun fashion for kids from Moromini, because just look at those gorgeous Nordic faces and bright, unisex clothes. 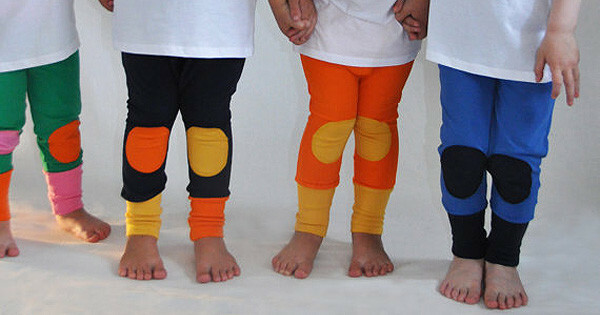 Made from organic cotton, Moromini sell an awesome range of leggings and baggy tights with different coloured cuffs and knee patches, as well as funky dresses and t-shirts. And they ship internationally for free! It wouldn’t be a post on Sweden if we didn’t include Ikea. 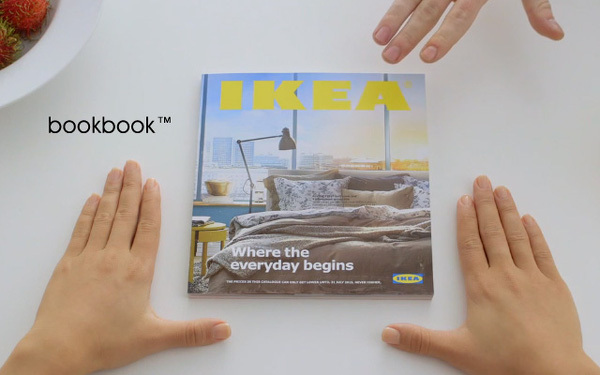 As well as being featured in many a nursery, and now also in dollhouses, our favourite Scandinavian flat-pack furniture company has branched out into humour with their amazing bookbook parody. 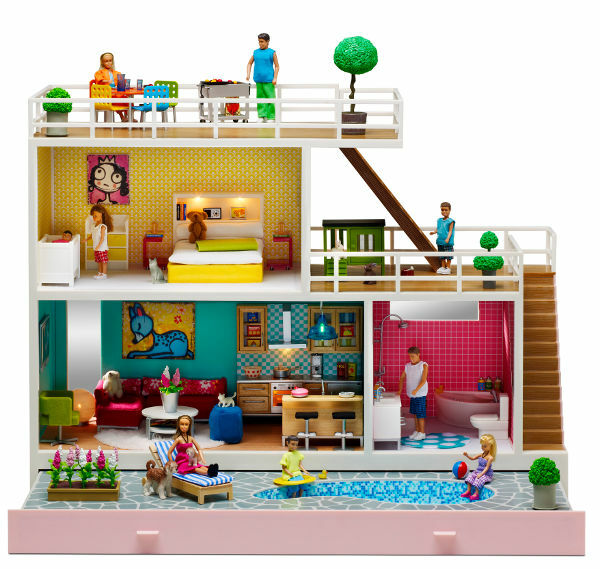 Speaking of dollhouses, the amazing Lundby Stockholm is everything we love about Swedish design, scaled down to fit on a shelf. If I’m honest, one of the reasons I don’t own this dollhouse, and boy do I wish I did own it, is because I simply would not allow my children to play with it – ever – and that seems silly for a dollhouse. 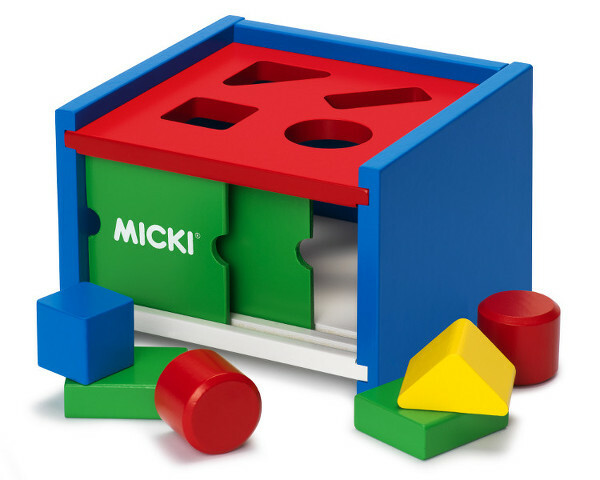 There are a host of other amazing toys that hail from Sweden too, like the adorable range from Micki. The brightly coloured classic wooden toys not only look amazing, but are great for growing imaginations too. Available from Axis Toys. If your kids are beyond the toddler years but not quite up to the Lundby dollhouse and you still want some awesome Swedish toys for the playroom, check out Little Red Stuga. Part toy, part children’s furniture, Little Red Stuga produce the most amazing and unique kids play items. Their products are multifunctional, stimulate imagination and can be used alone or with existing toys. I love the ‘play’, a folding screen that can be a cubby house, a teddy bear house, a puppet theatre or even a screen to hide the mess in the playroom! Sweden is also well known for car safety, and Swedish company Volvo have been at the forefront of car safety for many years. Their recent concept of an inflatable child car seat is an amazing one, and would be perfect for those who travel overseas. It is only a concept at the moment though, but we will keep you updated. 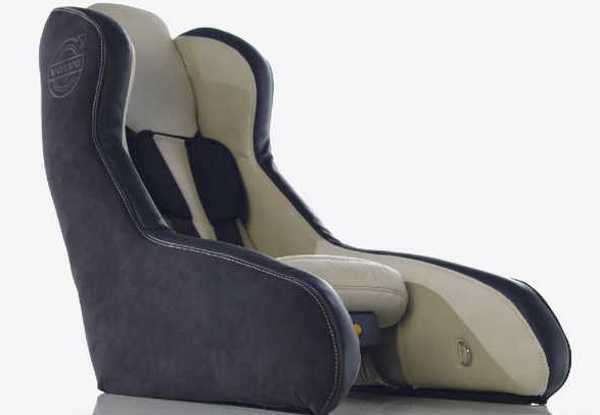 And then there was the innovative infant seat for the front seat of your car concept. Impressive. We recently brought you a pram from Sweden. 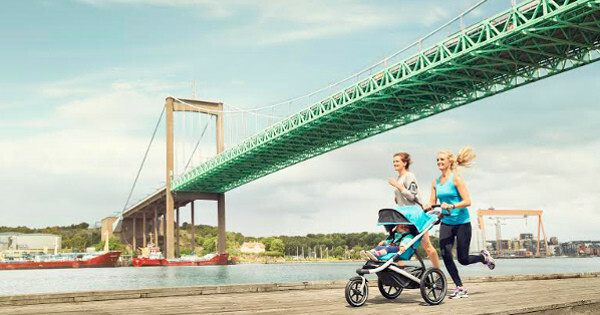 With slick good looks, the Thule Urban Glide is the perfect pram for those who want something that takes you from your morning run to lunch in a cafe. Packed with great design features, it’s a great way to push your little one around in style. 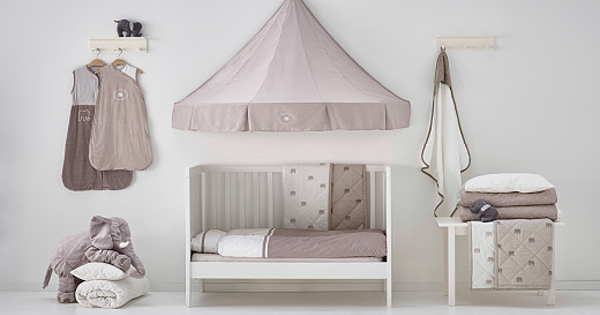 If you are wanting to kit out your little one’s nursery in good looking, affordable Swedish furniture, it is hard to go past the Sun Range by Troll furniture. Environmentally friendly, with clean lines to suit most nursery styles, this is nursery furniture to get excited about. 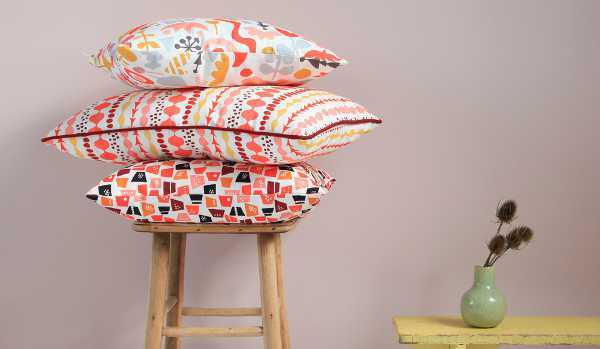 Of course, gorgeous Swedish furniture needs gorgeous Swedish furnishings, and these cushions from Tove Johansson are just right. Bright and funky, they are sure to brighten up any space. Finally, if all these Swedish goodies have you longing for a jaunt to Sweden, we have researched that for you too! 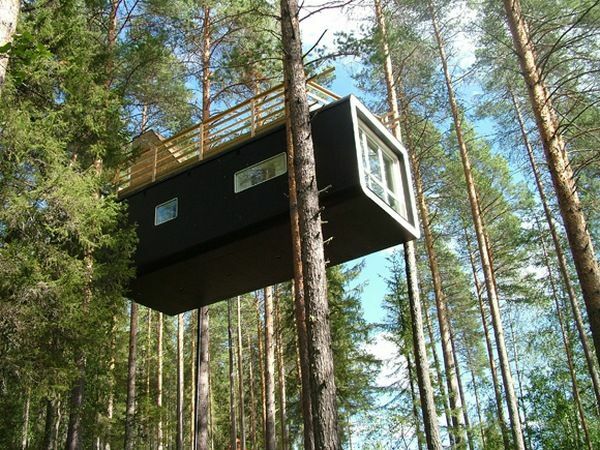 A Swedish tree-top holiday could be just what you need. The incredible Tree Hotel will have you literally sleeping in the trees. Designed by leading Scandinavian architects, the six rooms are almost unfathomably amazing. The hotel has offers for families as well as couples, and would make an amazing beginning or end to a Scandinavian adventure.